First, you may have evidence of Ashkenazi Jewish ancestry in your Ancestry Composition report (Figure 1). DNA clearly shows connections among those who consider themselves to be Ashkenazi Jewish: two Ashkenazi Jewish people are very likely to be "genetic cousins," sharing long stretches of identical DNA. This reflects the fact that the Ashkenazi Jewish population expanded relatively recently from a small initial population. Figure 1. The Ancestry Composition report gives the most comprehensive look at your genetic ancestry. It uses DNA from most of your genome, including contributions from recent ancestors on both sides of your family. Second, you may have evidence of Jewish ancestry in your mitochondrial haplogroup (also known as a maternal haplogroup), available in the Maternal Haplogroup report. The mitochondrial haplogroup is determined from your mitochondrial DNA, which is passed from mothers to their children (Figure 2). Four mitochondrial haplogroups are found at high frequency in people of Ashkenazi Jewish ancestry and rarely found in non-Ashkenazi Europeans: N1b, K1a1b1a, K1a9, and K2a2a. Therefore, Europeans carrying one of these haplogroups likely have Ashkenazi Jewish ancestry on their mothers-only line. However, approximately half of people with Ashkenazi Jewish ancestry do not carry one of these four haplogroups, so having a different haplogroup does not mean you don't have Ashkenazi Jewish ancestry. Figure 2. The maternal haplogroup is determined from your mitochondrial DNA, which is passed from mothers to their children. 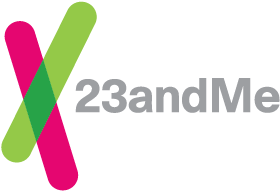 Third, you may have evidence of Jewish ancestry in your Y-chromosome haplogroup (also known as a paternal haplogroup), available in the Paternal Haplogroup report. The Y-chromosome haplogroup is determined from the Y chromosome, which is passed from fathers to their sons (Figure 3). Only men have Y chromosomes, but if a close paternal relative (for example, your father, brother, or paternal uncle) has also been genotyped, you can learn about your paternal ancestry from his haplogroup. As is the case for mitochondrial haplogroups, several Y-chromosome haplogroups are far more common among Ashkenazi Jews than among other Europeans. Carrying one of these paternal lineages may indicate Ashkenazi Jewish ancestry. Figure 3. The paternal haplogroup is determined from the Y chromosome, which is passed from fathers to their sons.